The third Savoy album was re-issued on 14 July 2017 by Apollen Records on CD and LP in Norway. It comes in a unique picture sleeve. 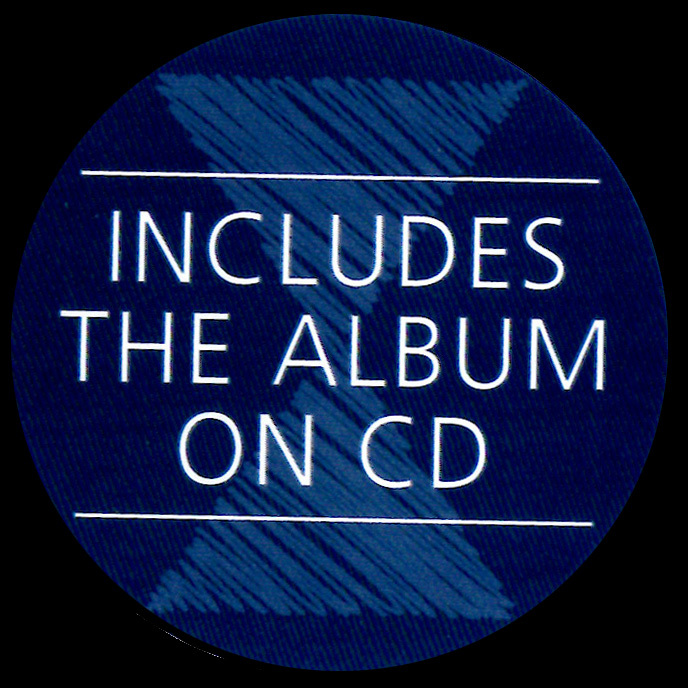 The front cover of the CD and LP is dark blue with a white "egg timer" shape in white. The title and Savoy logo is printed in dark blue at the top and there is a blue-black mountain in the bottom. The LP comes in a double gatefold sleeve. The back sleeve is of similar design, but this time the mountain is upside down at the top, the track listing is in white on either side in the middle of the sleeve. Additional text and the Apollen label are in black at the bottom. The inside of the foldout sleeve is of similar design to the original release of the album with a beige, purple, green, yellow and orange toned shot of the band across the whole centre (the same picture as used in the centre of the booklet of the original release). On the left is some information on the album in black text. The LP comes with a copy of the album on CD and there is a dark blue circular sticker with a lighter blue egg timer and the text "INCLUDES THE ALBUM ON CD". The CD is housed in one end of the sleeve and comes in a transparent vinyl sleeve. The disc is dark blue with outline of the egg timer in silver. The top of the timer has a white upside down mouontain with the words "...I wish there could be..." in blue. The Savoy logo and title are printed in silver on the left with the "Apollon" records logo and catalogue number (APR012CD) on the right. The LP is housed in the other end of the sleeve. It comes in a white paper sleeve with a dark top making the rest of the sleeve look like a range of mountains. The lyrics printed in a dark font. An outline of the egg timer is printed in the bottom right hand corner of both sides of the sleeve. Both have an upside down mountain in the top. On the front, the text "...I wish there could be..." is printed at the top and on the reverse the text "MOUNTAINS OF TIME" is printed at the bottom of the timer. The LP labels are white with black text. Side A has part of a picture of the tops of some trees in beige and purple and side B is in purple, green and yellow which is inline with the artwork used in the centre of the sleeve. Some of the tracks (Star, End Of The Line, Any Other Way, Grind You Down, Mountains, Ocean Floor and See What Becomes) have been edited slightly to fit all trakcs on the LP.